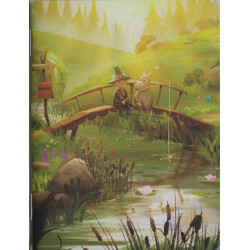 Notebooks There are 72 products. 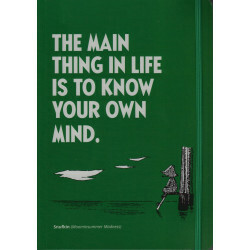 Moomin notebook with elastic band and green cover with inspiring words from Snufkin in Midsummer Madness: "The main thing in life is to know your own mind". 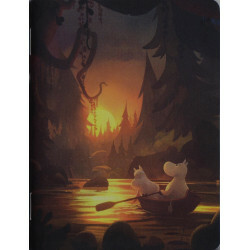 Inside 64 sheets with one side blank and the other faintly ruled. 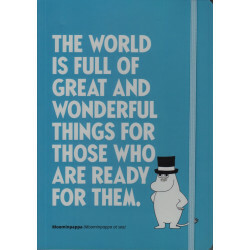 Moomin notebook with elastic band and blue cover with inspiring words from Moominpappa at Sea:"The world is full of great and wonderful things for those who are ready for them". 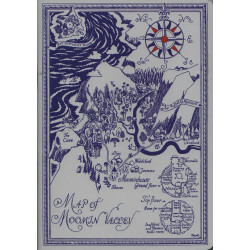 Inside 64 sheets with one side blank and the other faintly ruled. 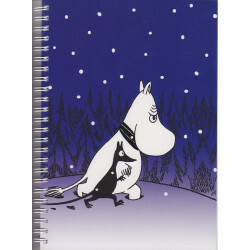 Exercise book with 24 sheets (48 pages) where right side is faintly ruled and the left side is blank. 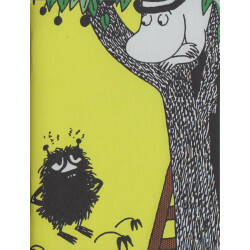 Small notebook with beautiful cover from Tove Jansson's books and paintings. 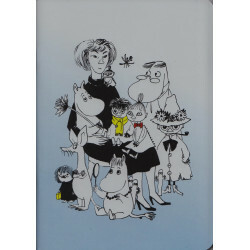 Inside 24 sheets (48 pages) where the right side is faintly lined and the left side is white with a little drawing of a Moomin character. 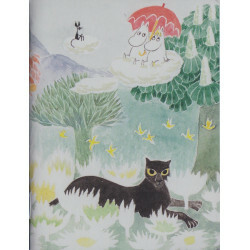 Small notebook with beautiful cover from Tove Jansson's books and paintings. 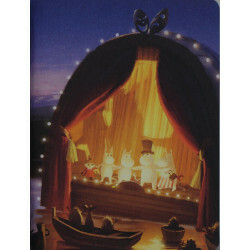 Inside 24 white sheets (48 pages). 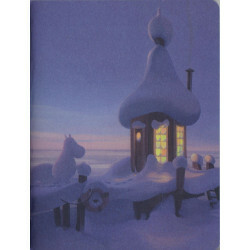 Small notebook with beautiful cover, featuring images from the new TV animated series Moominvalley. 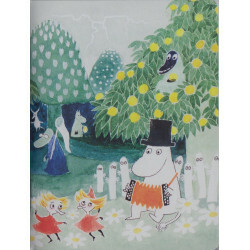 Inside 24 sheets (48 pages) where the right side is faintly lined and the left side is white with a little drawing of a Moomin character.